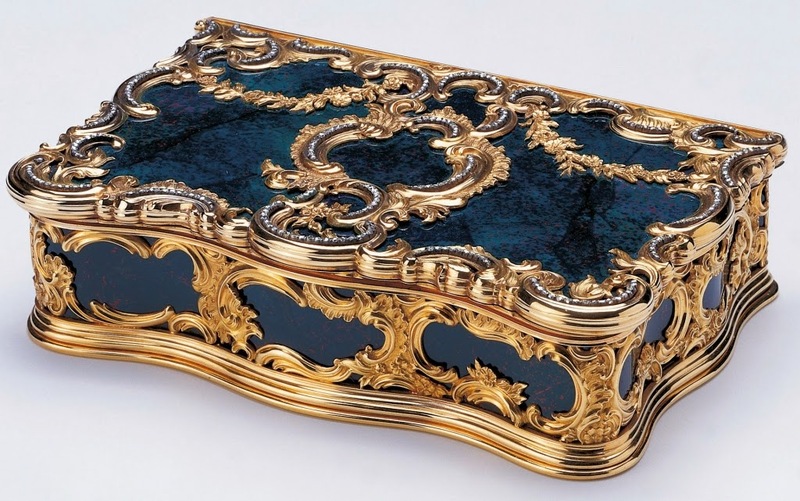 This week's Fabergé object is a beautifully embellished little box. It was made by workmaster Mikhail Perkhin, sometime before 1896! The 1.5'' x 5.4'' x 3.7'' (3.8 x 13.7 x 9.3 cm) size box is made of bloodstone. It is heavily decorated with gold ornaments in the neo-rococo style, set with rose-cut diamonds. 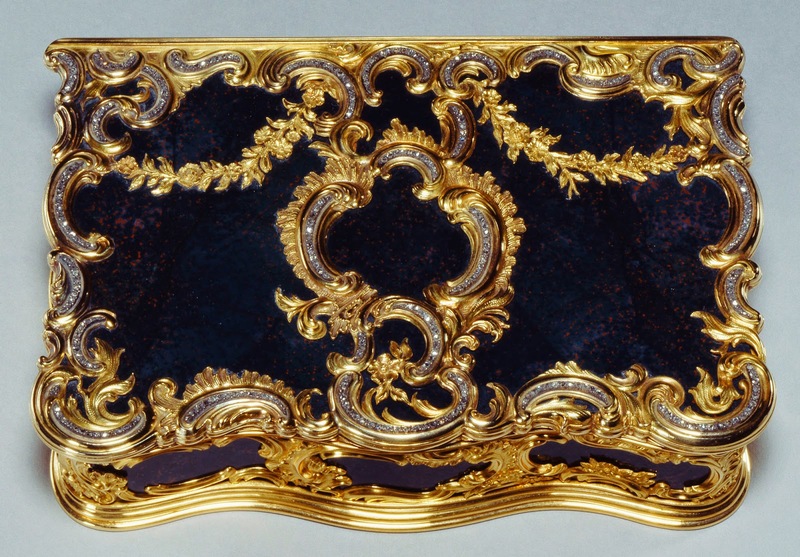 The box was presented by the daughters of Grand Duchess Maria Alexandrovna to King George V, and is now part of the Royal Collection.